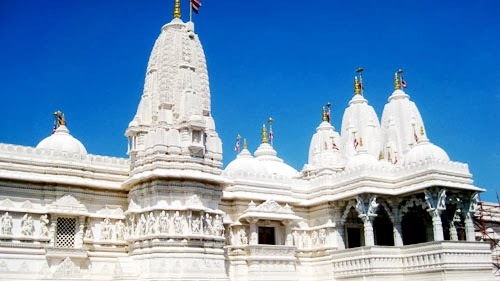 A few days ago, my family and I visited a nearby BAPS Shri Swaminarayan Mandir. 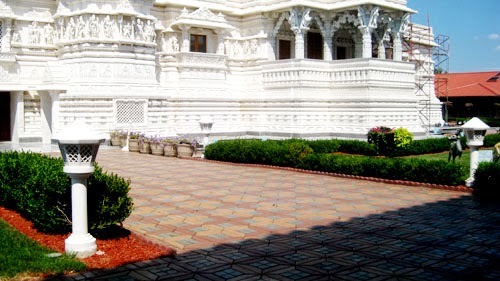 Although the Hindu temple was still under construction, the Haveli as well as the gardens around were open to the public. We even enjoyed an authentic Indian meal! I'm not the most knowledgeable when it comes to Indian culture, but I was extremely delighted to have this experience. Welcome. 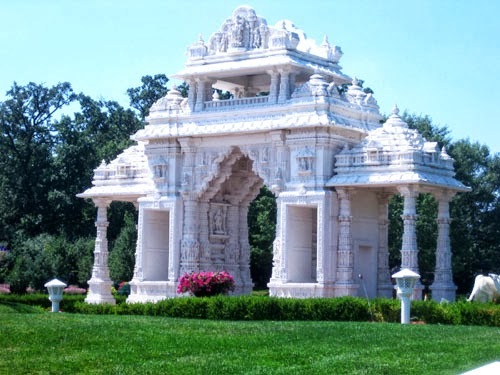 As you drive passed the gates, you're greeted by a magnificent spectacle complete with a horse drawn carriage underneath majestic hand carved pillars, a gorgeous fountain, perfectly groomed topiaries at every turn, and a white picturesque temple of the same hand carvings straight out of a movie set. Haveli. Open to the public at the time of our visit, we were asked to take off our shoes and a guide was able to tell us a bit more about the place. It was when he mentioned there was Indian food being served when I found myself getting antsy from excitement. Still shoeless, we entered an area where wraps were provided to cover the shoulders and legs. Fortunately for me, I anticipated this and dressed accordingly beforehand. 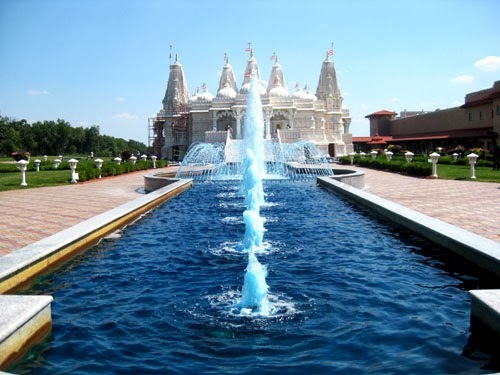 Mandir. We descended a few flights of marble stairs into a long hallway filled with large posters about the contributions of Indian culture as well Hinduism to the world. At the end of the hallway was an area where we could make a wish and pour water over a golden statue, which I regret taking a pass on! Just before that, however, is another set of stairs that would take you up to the Mandir. Lights illuminated and ricocheted off more hand carved ivory pillars creating a scene from a fairy. It was just beautiful. If only I had photos to share as I know my description doesn't do it justice at all, but unfortunately it was prohibited. Shayona. Finally we made our way to the Shayona, an Indian vegetarian cafeteria/restaurant. 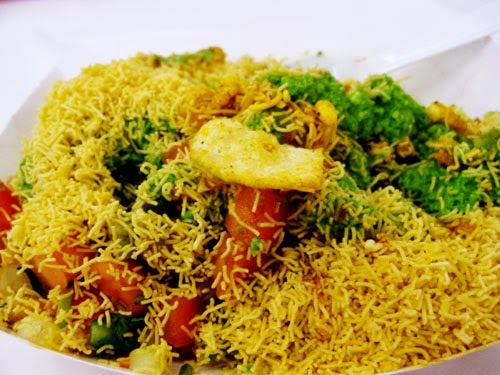 I ordered the Bhel Mix which was quite delicious, but a little on the sweet side for me. My brother ordered the Samosas, which were too spicy for him so I devoured them. My parents ordered Thali, which was also very yummy and for dessert we all enjoyed a nice cold Lassi. Overall, my experience at BAPS in Bartlett was amazing. I felt like I was in another country. I was even thrilled to get quick glimpses at what looked like a traditional Hindu wedding where all the men and women, whether they were part of the wedding or just guests, wore the most beautiful colorful traditional Indian dresses/suits. The people there including the volunteers were all so nice. A definite must-visit in Chicago.